The first book of its kind about what it’s like to be a child with ADHD, Hyper is a “haunting narrative that explores the world’s most scrutinized childhood condition from the inside out” (Nature) that also illuminates the history of how we came to medicate more than four million children today. Among the first generation of boys prescribed medication for ADHD in the 1980s, Timothy Denevi took Ritalin at the age of six and suffered a psychotic reaction. Thus began his long odyssey through a variety of treatments. In Hyper, Denevi describes how he made his way to adulthood, knowing he was a problem for those who loved him, longing to be able to be good and fit in, and finally realizing he had to come to grips with his disorder before his life spun out of control. Using these experiences as a springboard, Denevi also traces our understanding and treatment of ADHD from the nineteenth century, when bad parenting and even government conspiracies were blamed, through the twentieth century and drug treatments like Benzedrine, Ritalin, and antidepressants. His insightful history shows how drugs became the treatment of choice for ADHD, rather than individually crafted treatments like the one that saved his life. Thought provoking and deeply intelligent, this is a remarkable book both for its sensitive portrait of a child’s experience as well as for its thorough exploration of a remarkably complex and controversial mental condition and its treatment. “There’s much to be learned in Hyper, about pushing boundaries and respecting them, about parenting, and about the special kind of triumph that can come as a result of hard-earned self-knowledge. Denevi has written a book about a condition that has been studied for a long time, but, truly, it hasn’t been talked about like this” (BookPage). "Riveting and monumental....There's much to be learned in this book about ADHD, about pushing boundaries and respecting them, about parenting, and about the special kind of triumph that can come as a result of hard-earned self-knowledge. Denevi has written a book about a condition that has been studied for a long time, but, truly, it hasn't been talked about like this." "Tim Denevi has written a vivid, moving, and gripping first-person account of what it's like to grow up hyper. He weaves into the narrative an erudite account of the history of ADHD. And he packs it all together in concise, vibrant prose, compact enough for even those of us who have ADHD to read! Excellent book!" "Enlightening...Readers with ADHD will find affirmation of their own thoughts and emotions, while those without the condition will experience revelations." "In this haunting narrative [Denevi] explores the world's most scrutinized childhood condition from the inside out." "Denevi skillfully blends a personal account of his experiences with ADHD with a thorough and enlightening social and medical history of the disease....Frank, moving, and instructive." "Denevi skillfully weaves historical anecdotes into his personal account...excellent." 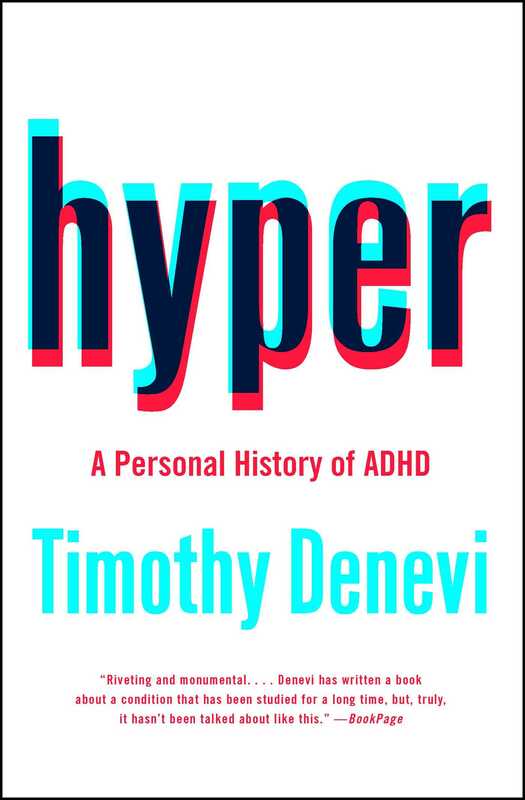 “ In his remarkable book Hyper, Tim Denevi tells the story of his childhood struggles with ADHD and his evolving understanding of this puzzling disorder. His narrative captures the essence of his daily struggles and features the disarming poetic rhythm of an extraordinarily talented writer. "At once both memoir and social history, Hyper chronicles what it was like to grow up as a kind of guinea pig for the treatment of ADHD in the 1980’s. With hard-won clarity and excruciating honesty, Timothy Denevi has written a fascinating and sometimes disturbing account, never self-pitying but consistently illuminating and riveting." "In Hyper the interior life of a misunderstood boy is honored with lyric language. 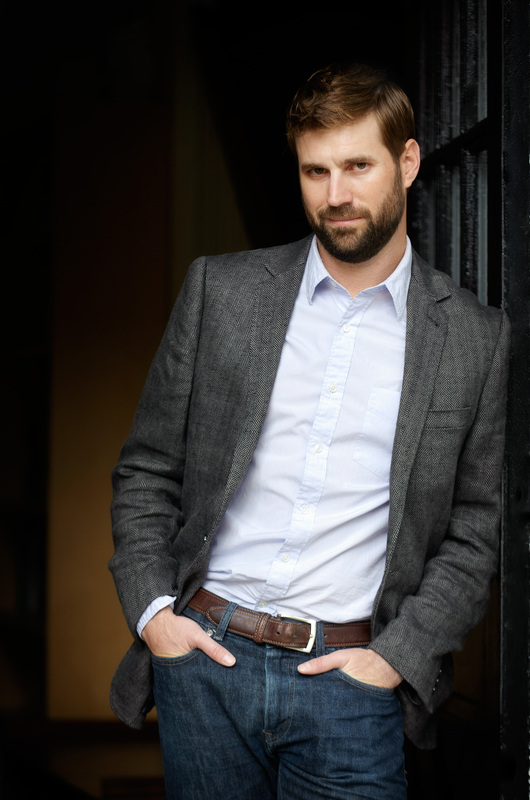 Tim Denevi has written a memoir about emotional vulnerability and recovery in the literary tradition of Styron and Susanna Kaysen. This is a powerful, literary book about childhood medication and its human cost. It's also a lasting story about mind, heart, and soul." "Tim Denevi tells two stories--episodes in the history of the diagnosis and treatment of ADHD and episodes of his own life, from early childhood to maturity. He shows us how terribly difficult (and time after time, inadequate) has been the scientific and therapeutic effort to alleviate the suffering of children and youths. And with immediacy and clarity he narrates his own past anguish and bafflement (and that of his parents) as they all three tried to make sense of his impulses and vulnerabilities. Over time, they found their way to everyday ordinary human success at life, and Tim Denevi has found the way to write about it--a very impressive success indeed." – Reginald Gibbons, author of Slow Trains Overhead: Chicago Poems and Stories.